Why should I hire a Timperley, Greater Manchester lawn care services company? Lawn care services in Timperley, Greater Manchester will be able to maintain large lawns by installing sprinkler systems for you and carrying out lawn treatments to keep your grass healthy and green. If you have a particularly large outdoor space to tend to, it could be worth hiring a Timperley, Greater Manchester groundsman to come and weed your lawn, remove moss and care to your sprinkler system on a regular basis. However, for most of us this probably won’t be necessary, but it doesn’t meant that you won’t need a lawn care professional at some point. For example, when planning a garden makeover you may need their services if you intend to include a patch of grass in your garden design. 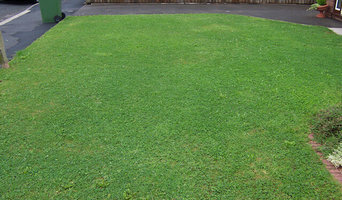 Lawn specialists can lay new grass and advise you on new lawn care so that you can keep your patch of grass, no matter how small, healthy and green for as long as possible. Or, if you inherit a lawn from a previous owner but aren’t sure what to do in the colder months, speak to Timperley, Greater Manchester lawn care services about winter and autumn lawn care. 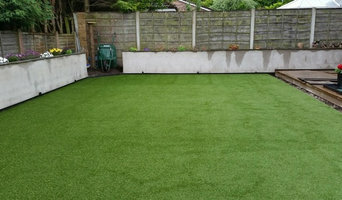 You may find that the groundsman or lawn care services professional you speak to also works closely with Timperley, Greater Manchester landscape gardeners who can help you with more aspects of your garden renovation and sprinkler system. Here are some related professionals and vendors to complement the work of lawn & sprinklers: Landscape Architects & Garden Designers, Landscape Contractors, Garden & Landscape Supplies. 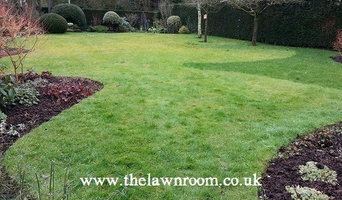 Find a lawn and sprinkler specialist on Houzz. Narrow your search in the Professionals section of the website to Timperley, Greater Manchester lawn care services, groundsmen and sprinkler system companies. You can also look through Timperley, Greater Manchester photos to find examples of lawns and sprinkler systems that you like, then contact the Timperley contractor or groundsman who worked on them.